Adult Markings: The palps, antennae, and the crest on the crown of the head are grayish fuscous; the lower part is whitish (Heinrich, 1923); unlike C. pennsylvaniana, the palps and crests are not contrasting. 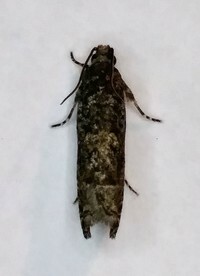 The ground color of the forewing is dull ochraceous-fuscous with a whitish median patch preceded by a broad area of black and followed by a narrower band of black. A narrow arc of black also extends from the costa (partially fused with the second black band) to the apex. 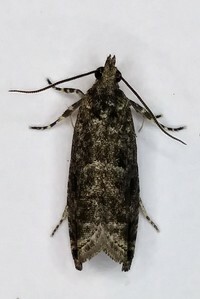 The costal edge within that arc has three short dark streaks that run obliquely to the costa; the apex also has a dark ocelloid smudge or two weak dashes. 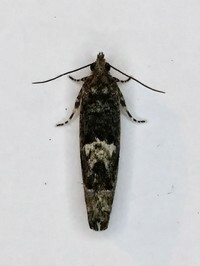 Hindwings are pale, smoky, fuscous. 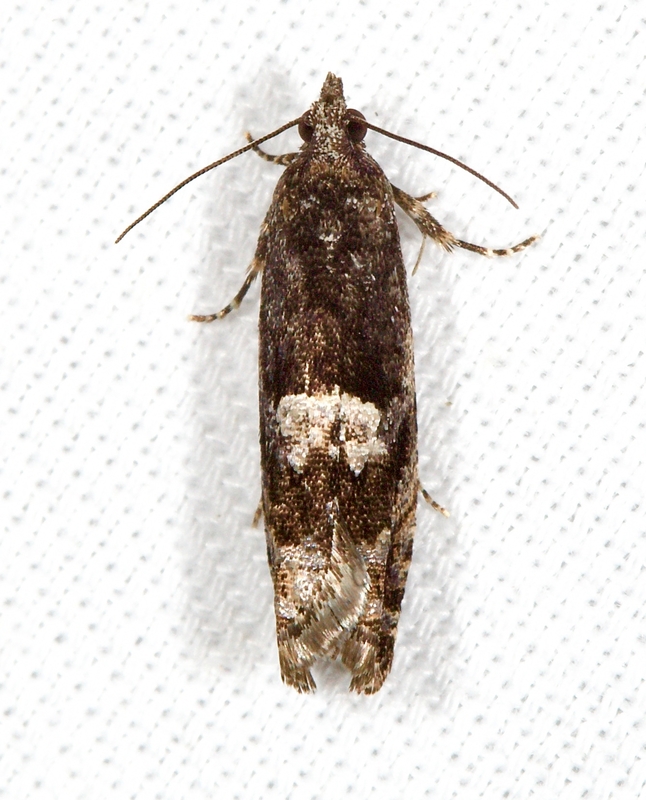 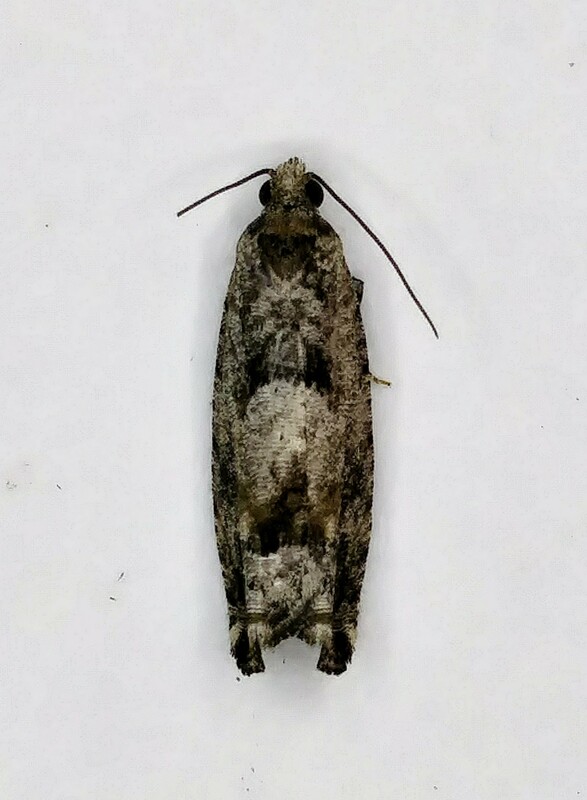 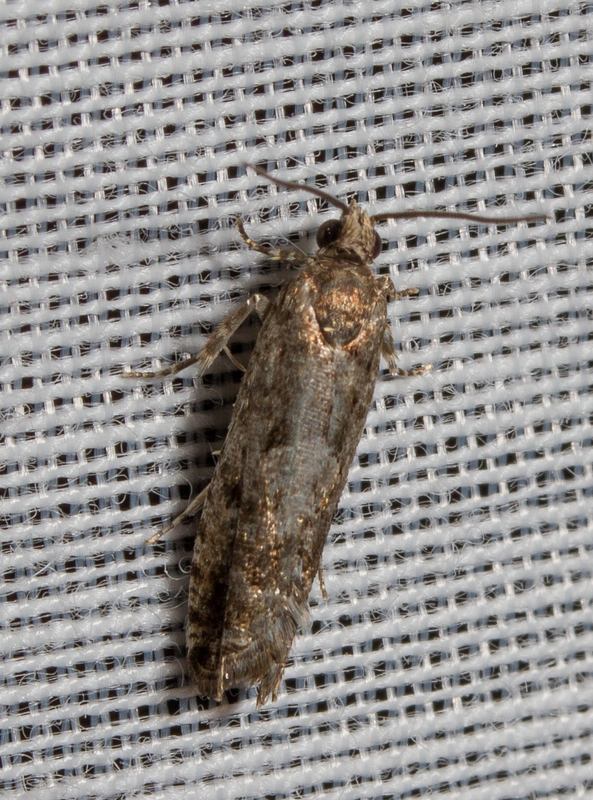 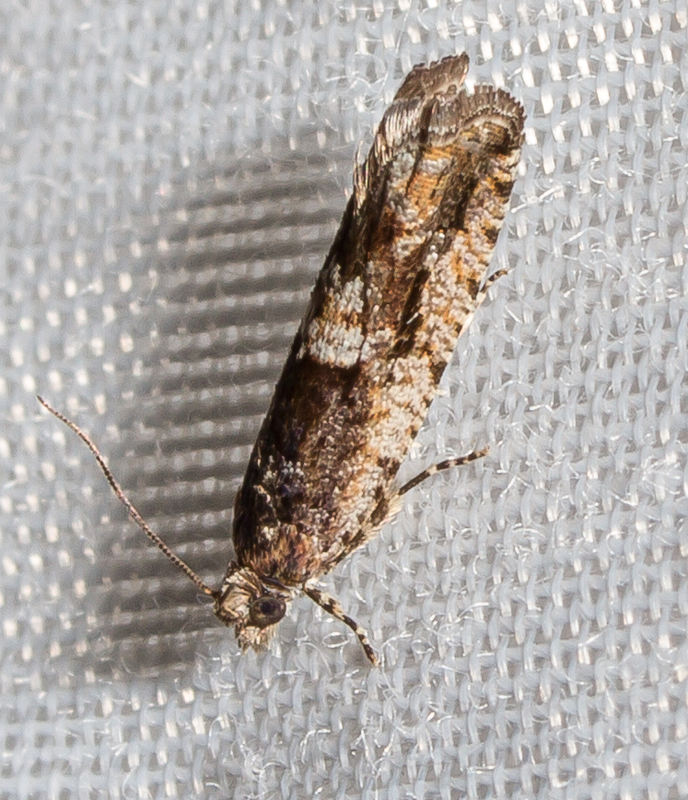 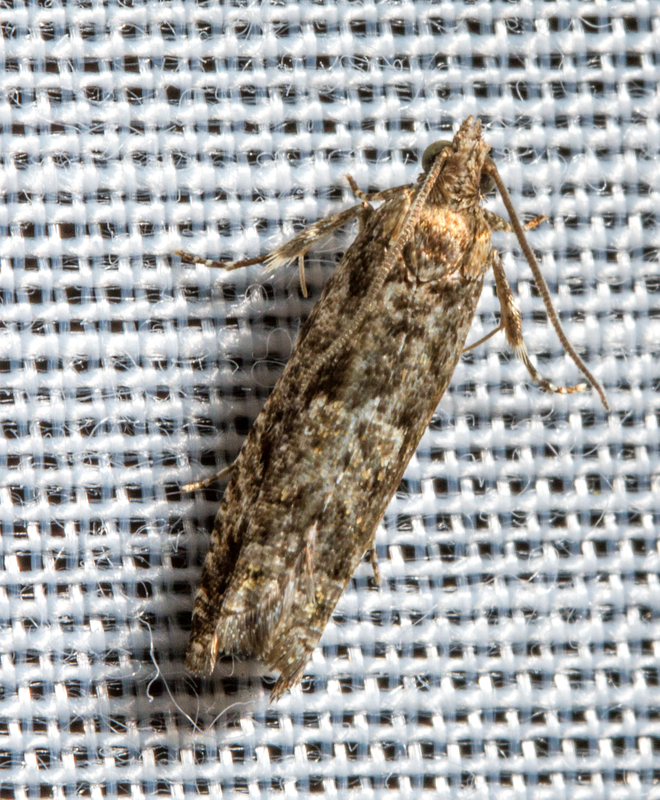 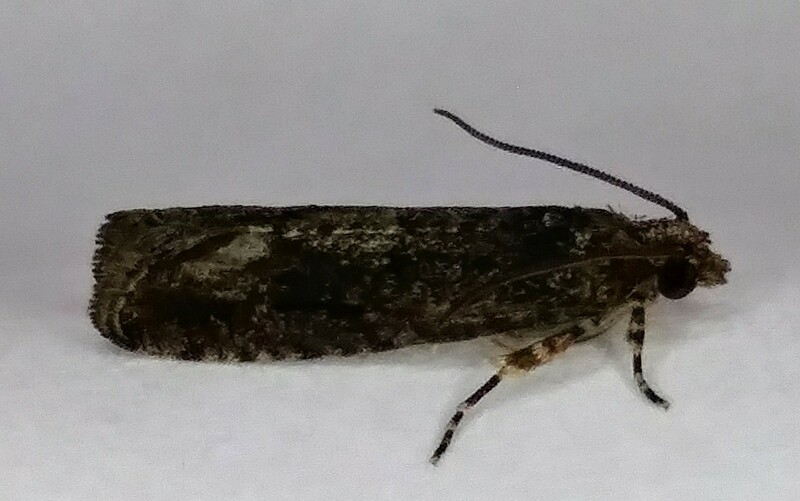 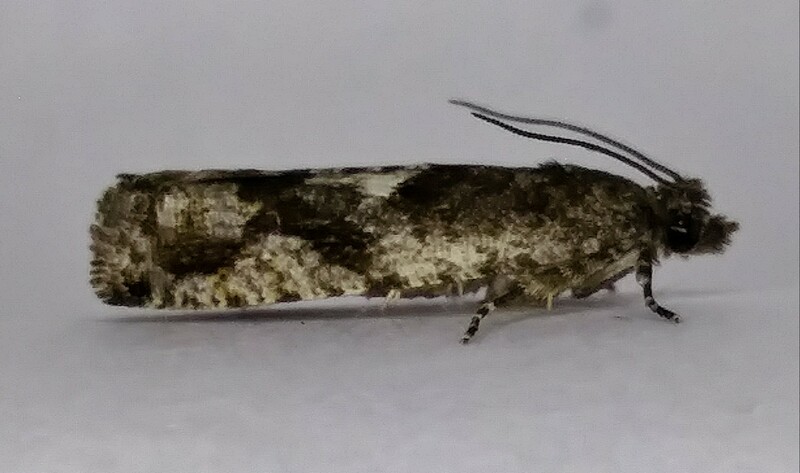 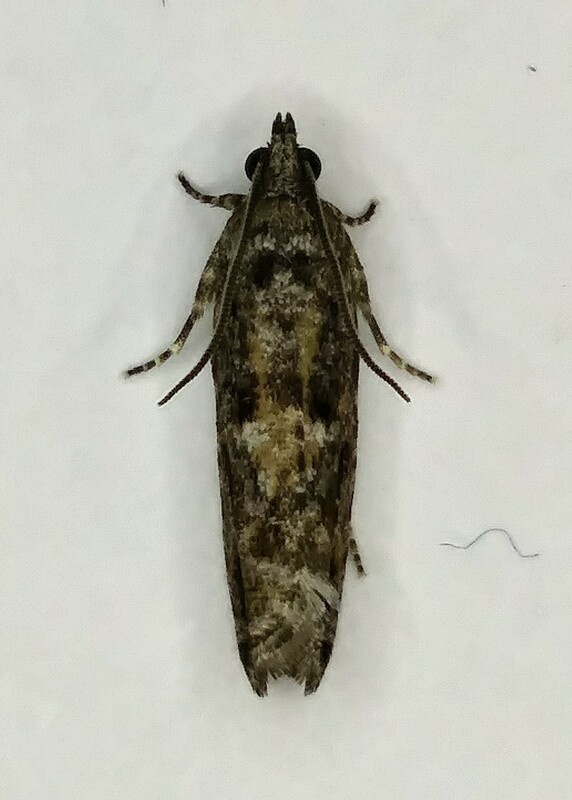 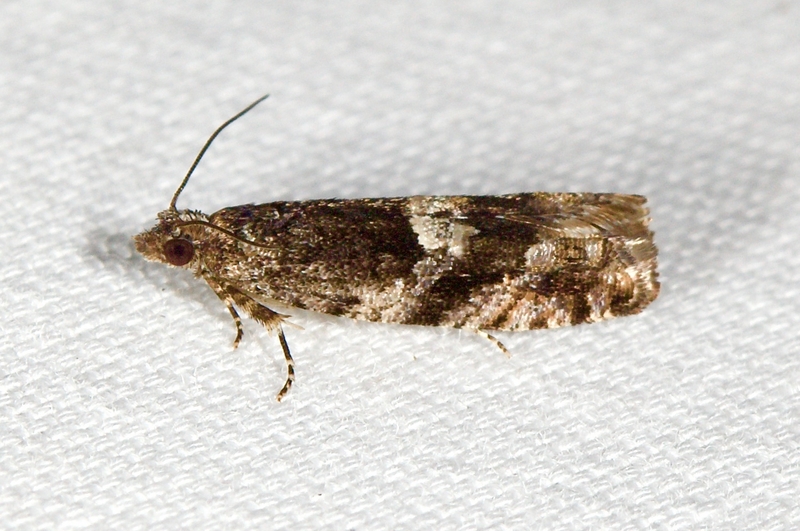 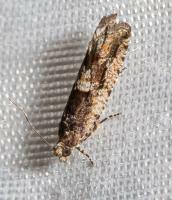 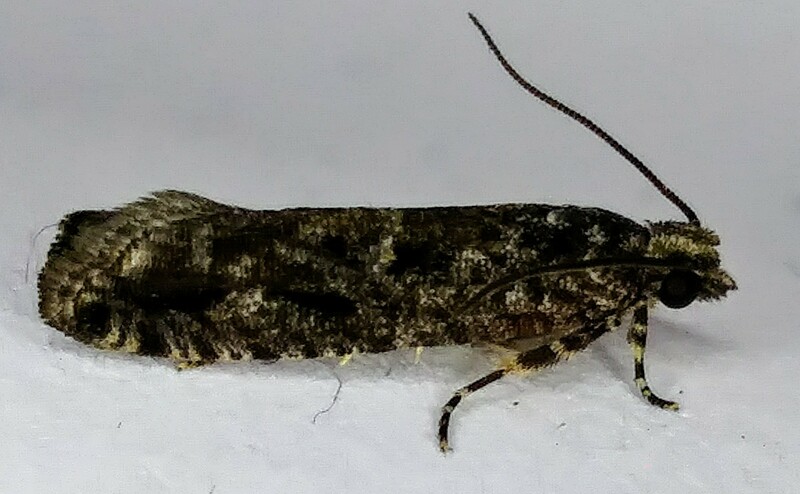 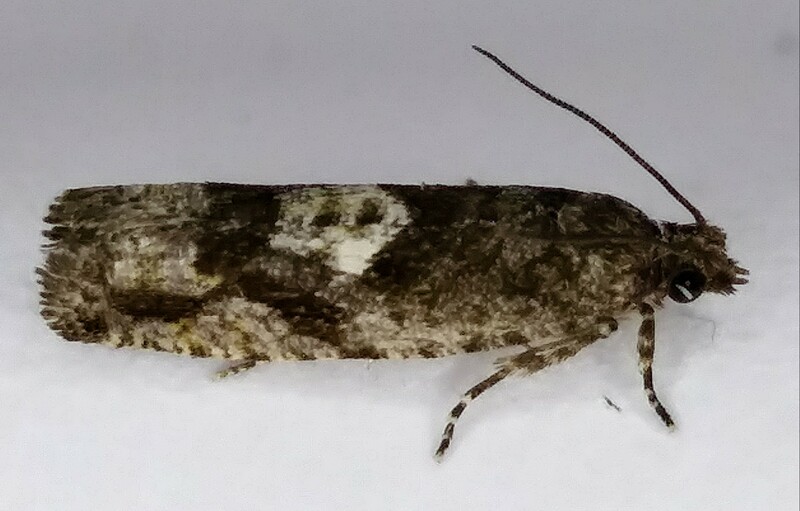 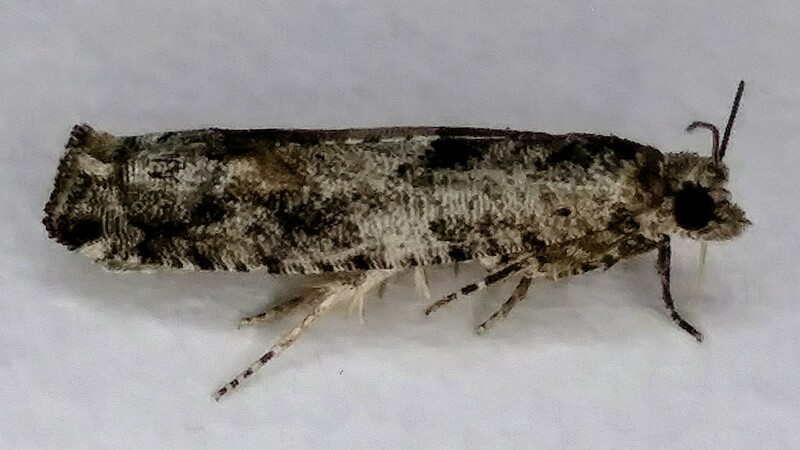 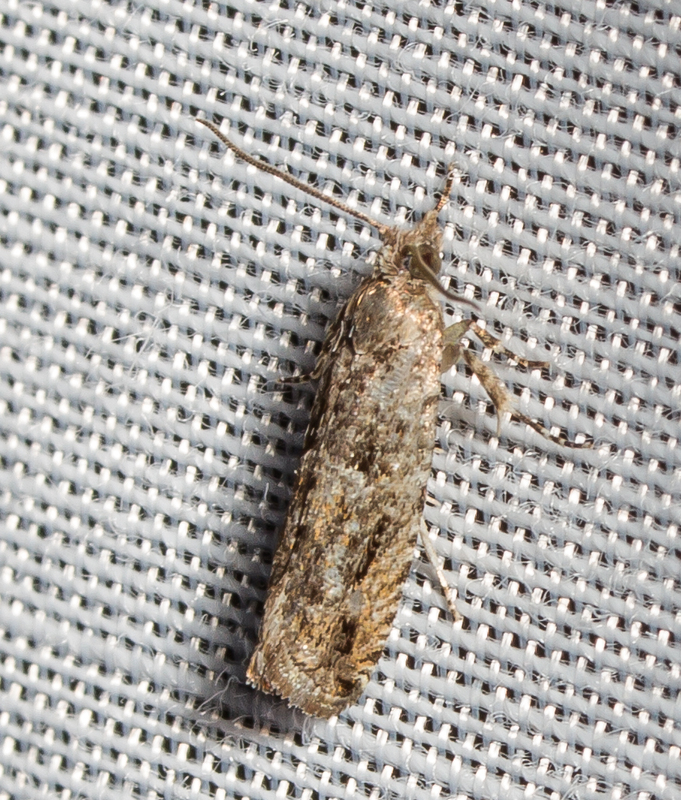 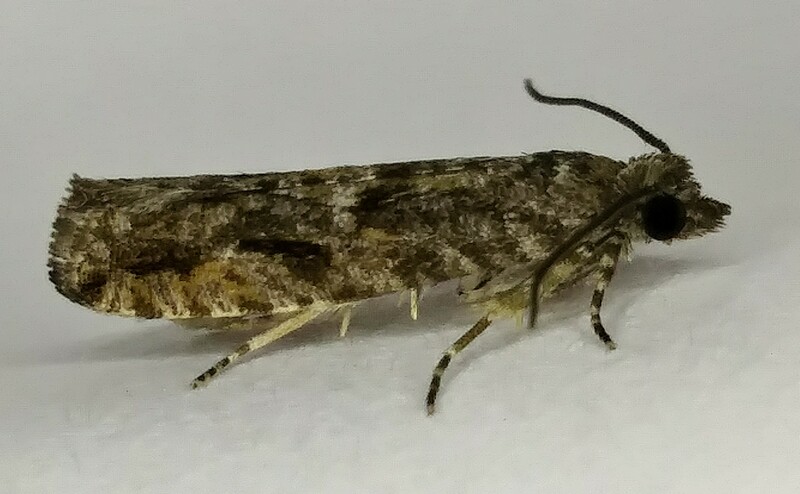 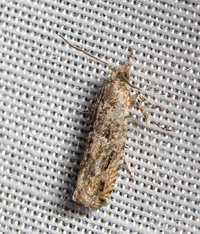 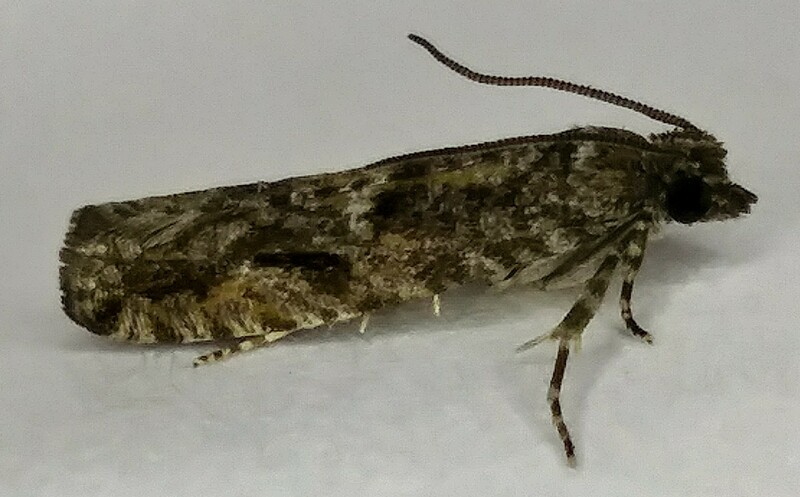 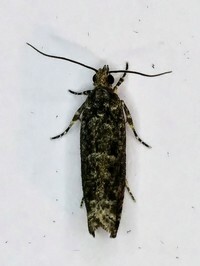 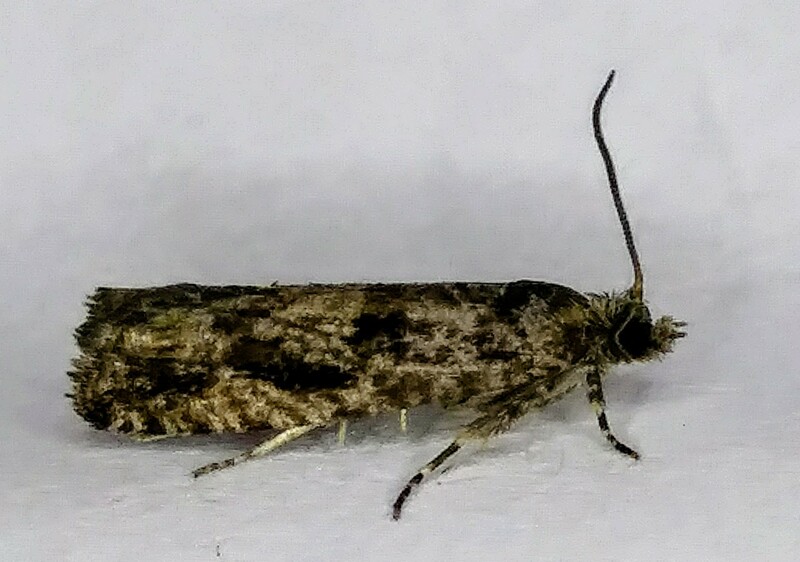 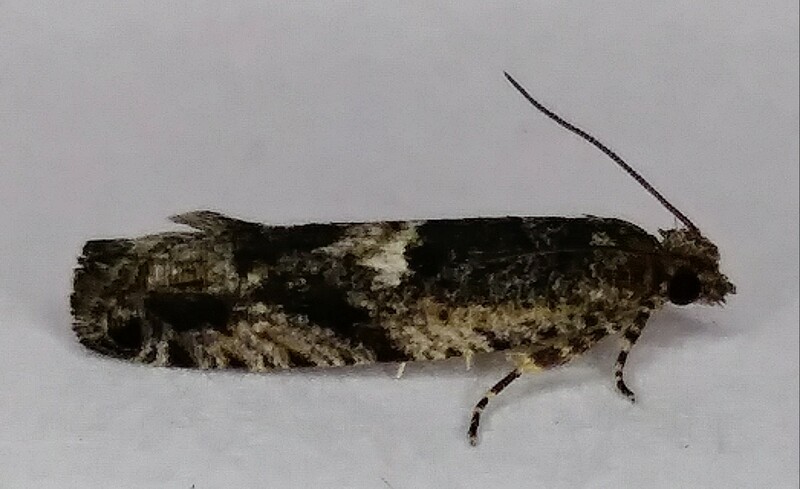 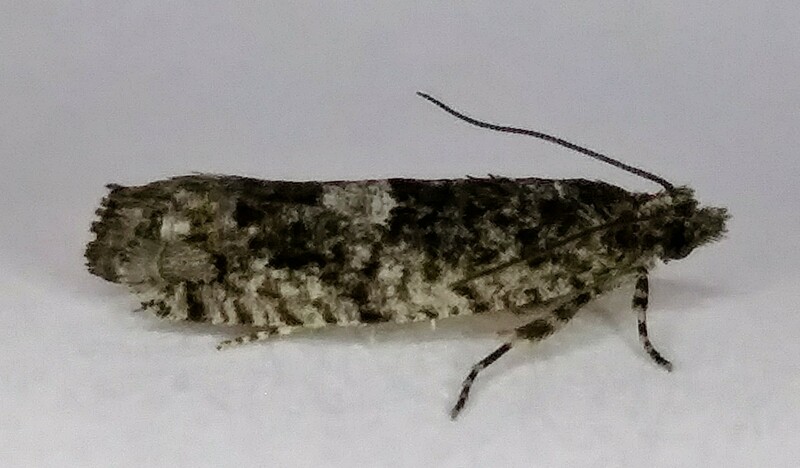 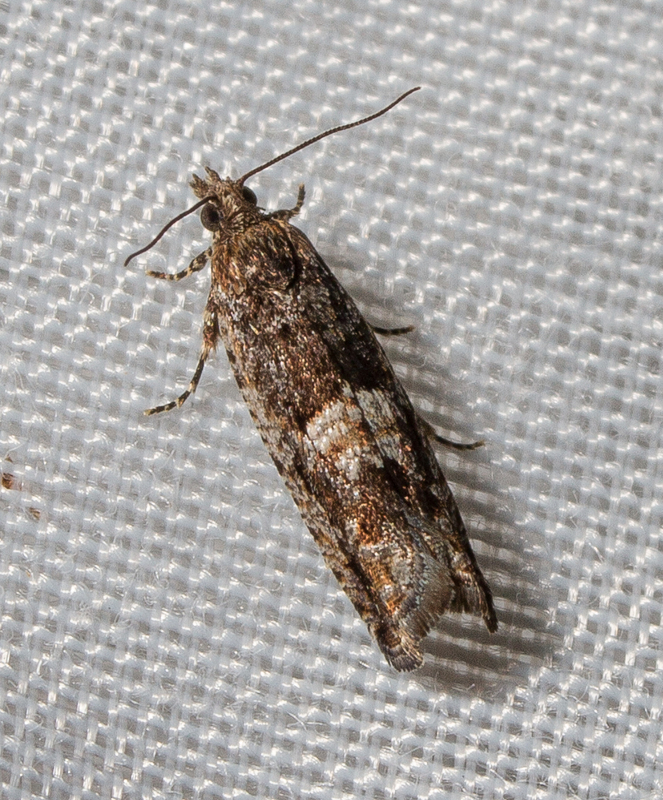 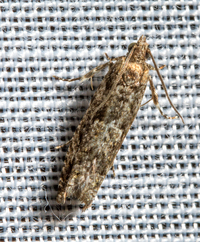 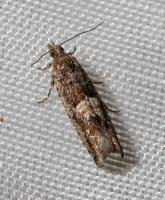 Chimoptesis pennsylvaniana, which flies at the same time, is similar but has a much more conspicuous area of white or greenish-white running along the inner margin.